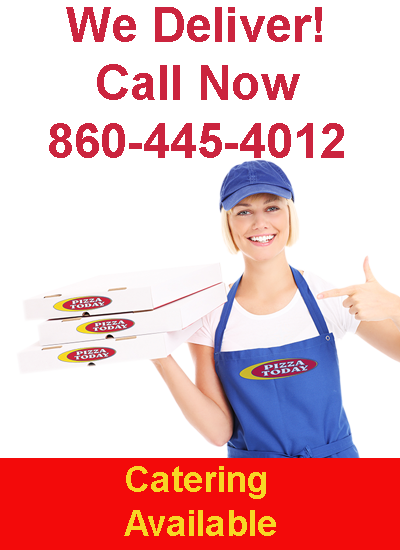 We deliver to Groton ..
Pizza Today is not a simple Pizza Restaurant but a must for anyone who loves homemade Pizza. 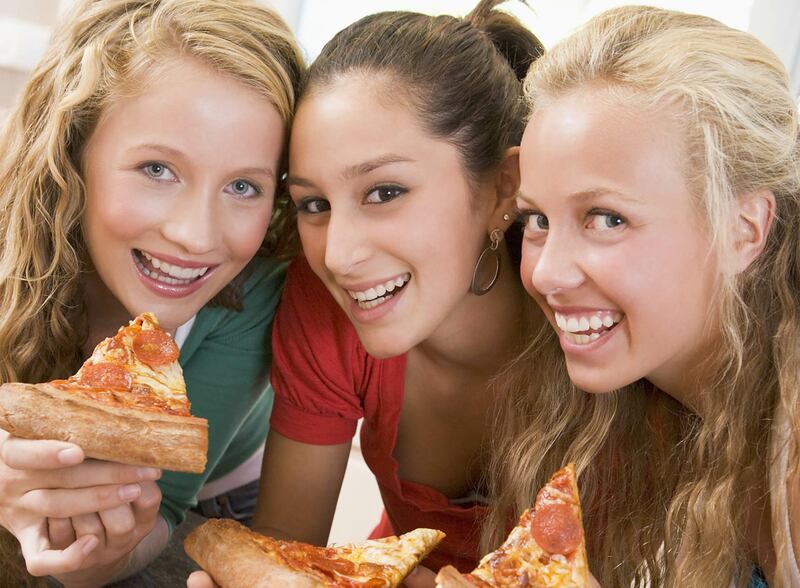 Treat yourself with one of our delicious Pizzas and Calzones, taste our fresh Salads, enjoy your Dinners, Sandwiches, Subs, Dessert and Beverages. We pride ourselves in providing our customers with a wide variety of the finest quality of freshly cooked food. Choice of Dressing: French, Bleu Cheese, Lite Italian, Greek, Ranch, Creamy Garlic, Balsamic Vinaigrette, 1000 Island, Honey Dijon, Parmesan Peppercorn, House (Homemade Vinaigrette). Extra Dressing .99. Add grilled chicken for 4.00 or crispy chicken for 3.00 to any salad. Served with Lettuce, Tomatoes, Fries & Coleslaw. With Sautéed Onions and BBQ sause. All Prepared with Marinara Sauce & Cheese. Add Roasted Peppers .50. Every 2 Medium Pizzas, Receive a 1 Liter Soda Free! Every 2 Large Pizzas, Receive a 2 Liter Soda Free! Served with Marinara Sauce on the side. 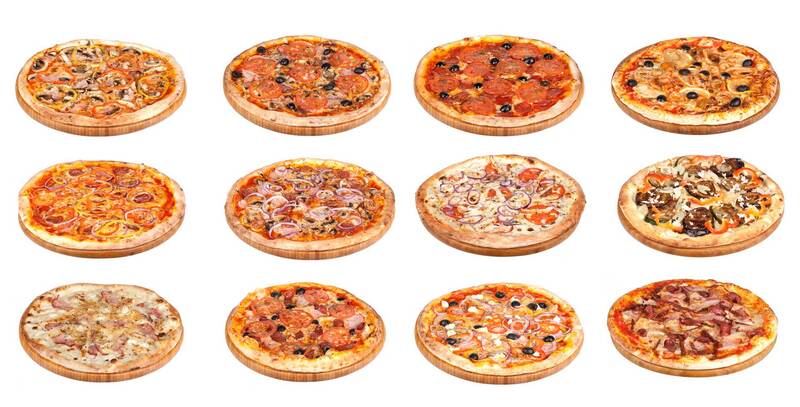 See Pizza Section for toppings. Sandwiches on Pita Bread with Strips of Lamb or Chicken with Onions, Tomatoes, Lettuce, Cucumber Sauce & Served with french Fries. Served with French Fries, Coleslaw & a Dinner Salad.